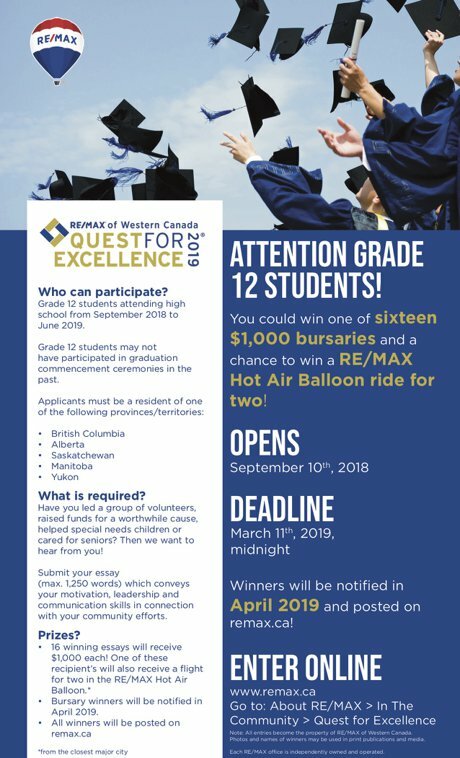 For grade 12 students in Western Canada who will be graduating, RE/MAX of Western Canada is offering a bursary program to further assist students with their studies. For Canadian students, the Quest for Excellence program recognizes students with leadership qualities who contribute to their communities. Every year 16 students from Western Canada will be award with a $1000 bursary, provided by RE/MAX.